Many of us, in fact, know little of the neighborhoods beyond those where we work, play, and live. This is especially true in Chicagoland, a region that spans over 4,400 square miles and is home to more than 9.5 million residents. 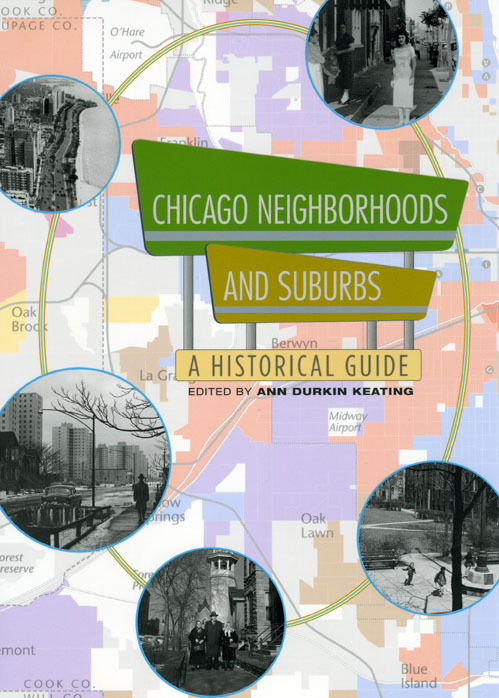 In Chicago Neighborhoods and Suburbs, historian Ann Durkin Keating sheds new light on twenty-first-century Chicago by providing a captivating yet compact guide to the Midwest’s largest city. Keating charts Chicago’s evolution with comprehensive, cross-referenced entries on all seventy-seven community areas, along with many suburbs and neighborhoods both extant and long forgotten, from Albany Park to Zion. Thoughtful interpretive essays by urban historians Michael Ebner, Henry Binford, Janice Reiff, Susan Hirsch, and Robert Bruegmann explore how the city’s communities have changed and grown throughout the years, and sixty historic and contemporary photographs and additional maps add depth to each entry. From the South Side to the West Side to the North Side, just about every local knows how distinctive Chicago’s neighborhoods are. Few of us, however, know exactly how they came to be. Chicago Neighborhoods and Suburbs brings the city—its inimitable neighborhoods, industries, and individuals—to life, making it the perfect guidebook for anyone with an interest in Chicago and its history.